The prayers are learned, the Child of Prague is out and the outfits are ready……all that remains is for us to wish all of our Communicants the very best for a happy and holy day tomorrow. 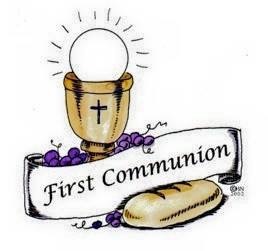 We hope that the sn will shine on the boys and girls and on their families as they make their First Holy Communion in St. Oliver’s Church tomorrow morning. iPad time in Rang 2!